In the end, I decided to keep it traditional and go with cupcakes, the sure-fire crowd pleaser. Oh, but not just any ol’ cupcakes. Nope, not on my watch. And not on the company dime, either. (Ha!) Oh no no. If I was interrupting my regularly scheduled weekday healthy eating aaaand celebrating another year of life, it couldn’t just be a basic cupcake. I mean, how gorgeous is this cupcake? And friggin’ delicious, too. Cue the lights! In my head, this is where the stage lights suddenly cut out and a bright white beam of light shines down, dramatically illuminating the perfect Brooklyn Blackout cupcake from Ovenly that I chose for myself. I mean, the office. The cupcake I chose for the office. As I suspected, the cupcakes were a hit, and I was extra happy when the birthday-celebrating coworker emailed me from his desk to tell me how awesome he thought they were. I was happiest today, however, when I walked in and there was one lone, delicious Brooklyn blackout cupcake still sitting on the kitchen counter, leftover from the day before. I swooped in and happily ate it for breakfast. It’s my birthday, after all. So yea, today’s my birthday. And while I’ve kinda been dragging my heels about the whole thing in the weeks leading up to it, my friends really turned that around on Friday when they threw me the best surprise birthday party EVER. Seriously, if you think you’ve had a good surprise party, mine was better. There were friends from different groups and different cities even, there were oh so many drinks (Too many drinks perhaps. No scratch that, I didn’t mean it. There’s no such thing as too many drinks), there were mini sombreros, and to really just make my life complete, there was cake. Ice cream cake from Carvel. Ice cream cake which I had been apparently talking about incessantly to anyone who would listen. Ice cream cake which had to be packed in a cooler of dry ice to make the trip from the store to the bar without becoming a melted mess. Really, it makes my heart swell with happiness just thinking about it. It being the amazing group of friends I have and love so very much. But also that ice cream cake. 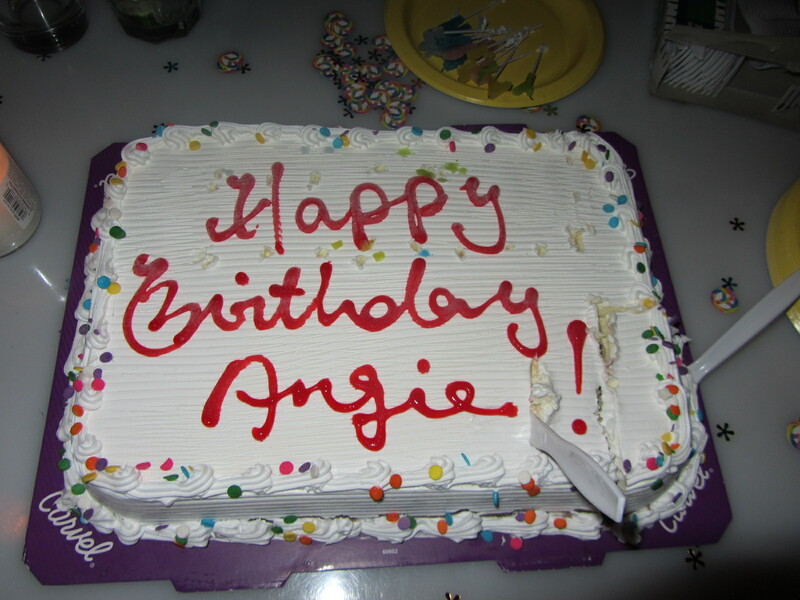 Because I will never be too old to want ice cream cake on my birthday (or any day really). Here’s to another year of good times, good people and good food. If I had a car, i would want this to be my license plate. 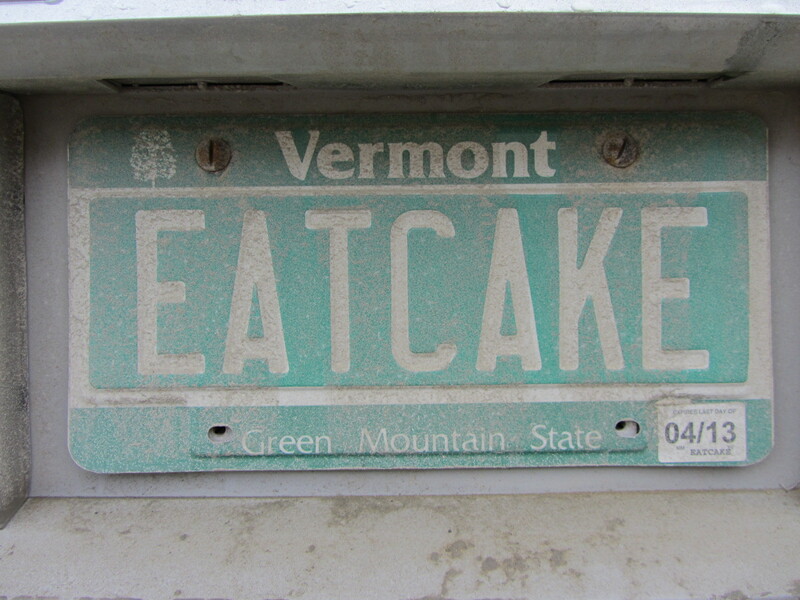 During our recent weekend in Vermont, a car parked outside of our bed and breakfast had this license plate. It’s a little dirty but I’ll look past that cause it’s pretty awesome anyway. I mean really, eat cake. Go. Right now. Eat some. Three tiers of beautiful merengue deliciousness at a recent wedding in Italy. I love weddings. No, really. I loooove weddings. I don’t go to nearly as many as I should for knowing as many people as I do that are getting married, but still. I love ’em. Yes, the vows to have and to hold, love and to cherish, and all that other lovey dovey stuff are nice, but really, I’m there for the food and the party, and of course, the cake. Some girls dream about trying on white dresses and choosing the first song they dance to with their betrothed. 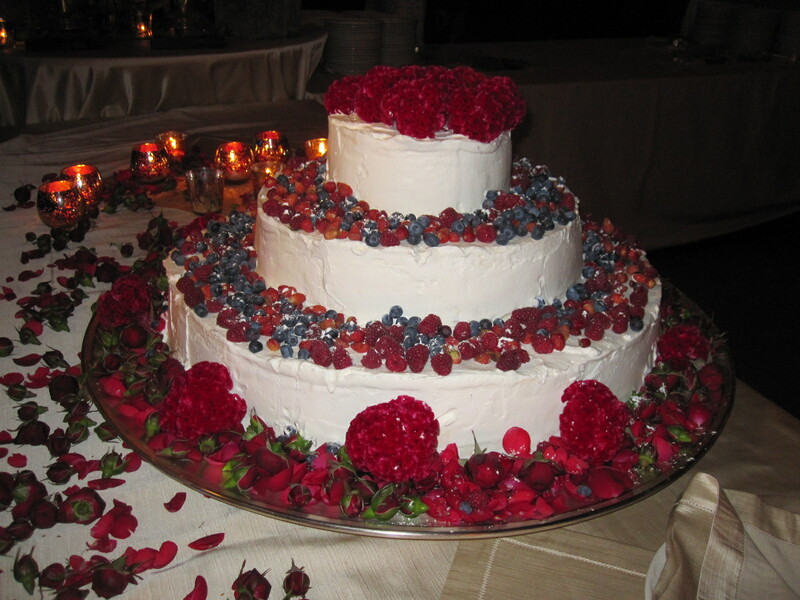 I dream about cake sampling and getting the first slice of the chosen cake.